After last year's excellent "Procession" EP, an EP that showcased the Arctic Flowers' talent for combining the tradition of anarcho/peace punk with a postpunk sensibility, the new "Weaver" LP continues in much the same vein. Just a great mid-tempo punk rock LP that, in true Arctic Flowers fashion, blurs the boundaries between classic punk, postpunk, and early gothic rock. The long-running DIY background of the band's members imparts to the songs an urgency one is not likely to find in the more disingenuous bands trying to hop on the recent goth-punk bandwagon. 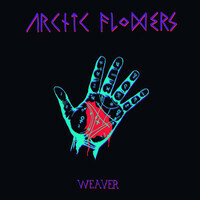 Weaver is simply an excellent LP.